Nairobi Tycoon Paul Kobia attack a Milimani Magistrate over Assault trial. - Bana Kenya News, Real African Network Tubanane. Home Gossip Nairobi Tycoon Paul Kobia attack a Milimani Magistrate over Assault trial. Nairobi Tycoon Paul Kobia attack a Milimani Magistrate over Assault trial. The Nairobi Tycoon Paul Kobia caused fracas at Milimani court, Nairobi following a case filed aginst him for an assault by a Congolese BusinessMan Blanchard Londole. The businessman Mr Kobia wanted to fight with the Magistrate at Milimani Court following three cases which pending and may cause him to be jailed for not less than 3 years jail term. Kobia was arraigned over allegations that he and his four bodyguards kidnapped Congolese businessman Blanchard Londole and assaulted him and later killed his wife. The Businessman also is allegedly confronting one of the prosecutors and threatened to kill them over the allegations. Today was hearing of the assault case against Congolese businessman Londole.He did not oblige on March 24 as his lawyer said he had been hospitalised after an accident. Milimani chief magistrate Mr Francis Andayi declared indictment as the lawyer did not produce documents supporting this claim. The Businessman was taken out of the hospital only to come and attend the trial because the Londole lawyer flew from DRC to Kenya for the case. The next hearing will be on April 20 and determined that his health shall have improved. 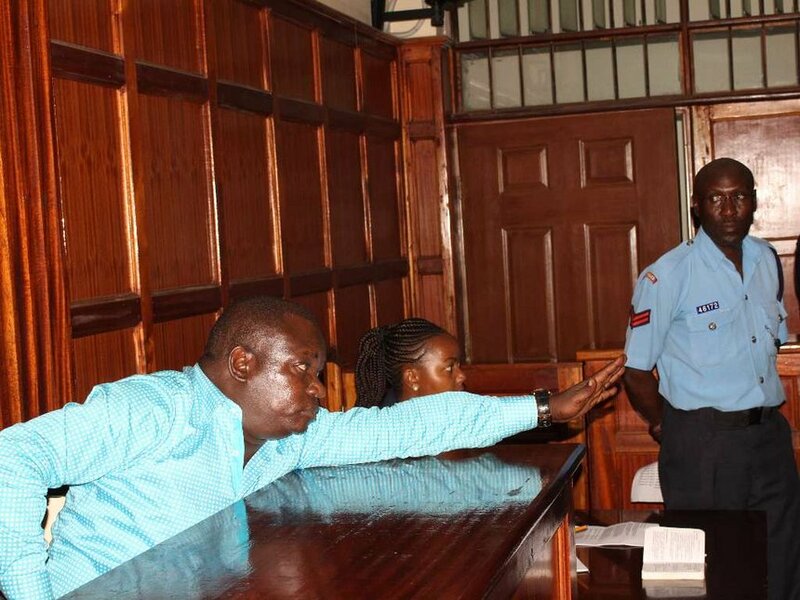 The businessman, who was released on Sh100,000 bond, will plead to charges of threatening to kill, kidnapping, assault Londole, Magistrate and causing public disorder.